The Southbound Author Lecture Series will host Jonathan Putnam Saturday, March 2, at 2 p.m. at the Arts Building, 1301 East 11th St. Tickets are $10 and available here. 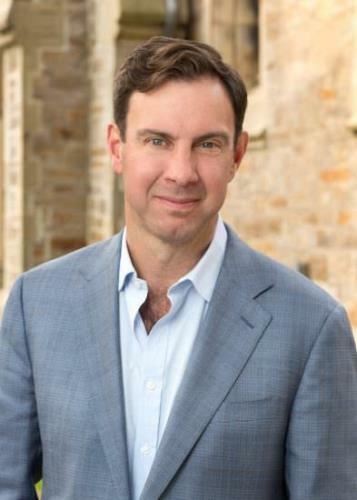 The Harvard law graduate, historian on Abraham Lincoln, and author of the Lincoln and Speed Mystery Series comes to present "How the Young Lincoln Became our Lincoln" and to discuss his books. Books in the series will be available for purchase. 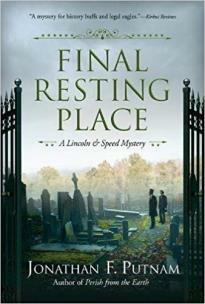 Mr. Putnam is the author of the Lincoln and Speed Mystery Series which include These Honored Dead, Perish from the Earth, and A Final Resting Place. The fourth book in the series, A House Divided, will be released this July. The Lincoln & Speed Mystery Series is based on Mr. Putnam’s research surrounding the four years Abraham Lincoln and his close friend, Joshua Speed, lived together above Mr. Speed’s store. A Final Resting Place is based on an actual 1838 sensational murder trial in which a young Abraham Lincoln, countered by the forceful prosecution of Stephen Douglas, defended a prominent local politician accused of murdering a rival. Mr. Putnam graduated from Harvard College with honors with a degree of history. Putnam then moved on to Harvard Law School and graduated first in his class. After graduation, he worked as a law clerk for a judge in Washington D.C. and then began working in the Kirkland & Ellis international law firm. He lives with this family in London and New York. For more information contact Lynda LeVan at 267-1218 or lynda@solitalliance.org.